Freebie! 8 Plural Noun Rules on one nice little sheet. This poster only displays 8 plural noun spelling rules with an example of each one. If your 2nd and 3rd graders struggle with plurals, this poster can help. There are so many rules to follow that it's easy to forget how to add endings. You’re free to download it and use it in your classroom. 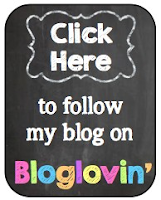 Do your students struggle with plurals? I made some engaging games and centers to help students practice those rules. 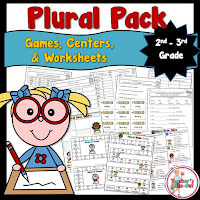 The Plural Pack has a Poster (freebie from above) that explains some plural rules, games and centers, and 20 worksheets. This Pack has students learning the rules, writing and spelling singular and plural nouns. Purchase Plural Pack right here at a discounted price!